Spectacular home full brick loaded with upgrades & custom finishes in desirable Christenbury! 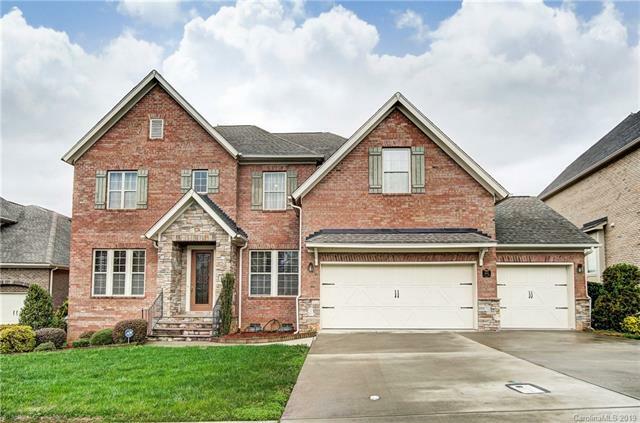 Executive Office w/wood paneling & French door entry, Family Rm w/wall treatments, crystal chandelier, gas fireplace, built-ins that flows into Kitchen w/stone arch accent, custom cabinetry & granite counters, stainless appliances. 10'ceilings & hardwood floors make the living spaces so airy! Oversized Master Suite w/hardwoods, 2 ceiling fans, sitting area, French doors, wet bar and Bath w/soaking tub, custom shower, dual vanities & large walk-in closet. Nicely sized secondary bedrooms & baths. Upstairs bonus room could be a 4th bedroom. Amazing outdoor living spaces with 3 screened rooms totaling nearly 1066 sq ft! Outdoor kitchen w/travertine counters, Easy Breeze windows, 8' Pella sliding door, custom water & sun resistant privacy screens. Upstairs screened space has a 16'vaulted cathedral ceiling w/custom screening & tropical ceiling fans. Large rear concrete patio, 3-car garage, and more! Complete the form below and one of our agents will contact you. Or, if you'd rather, you can reach us via phone at 704-405-8860.